Jason R. Sherlock is certified by the State Bar of California, Board of Legal Specialization as a Family Law Specialist and is one of the founding shareholders of Sherlock // Anderson, pc. In addition, he serves as the Chief Executive Officer. Jason works closely with the courts and the legal community as a member of the Placer County Child Custody Sub - Committee. Offices are located at 2250 Douglas Blvd. Suite 140, Roseville CA 95661. Jason received his undergraduate degree from California State University, Sacramento in 2005, with a Bachelor of Science in Criminal Justice and a Pre-Law emphasis. Received Juris Doctorate in 2007 from Thomas Jefferson School of Law receiving honors and awards for public works in San Diego. While residing in Southern California, Jason sharpened his legal skills both as a courtroom litigator and in areas of Alternative Dispute Resolution. While Jason focuses primarily on family and juvenile practice in Placer and Sacramento Counties, the firm handles matters in many surrounding counties including, El Dorado, Yolo and Colusa. Family Law litigation includes marital and domestic partnership dissolution, parental and third-party custody, support, property division, business valuation, UCCJEA, guardianships, premarital agreements, and juvenile dependency matters. Jason is also licensed in the United States District Court of the Eastern District of California. Jason began his career with a concentration in the juvenile justice system and has developed those nuances to become a skilled trial lawyer. Prior to the development of Sherlock // Anderson, PC, Jason maximized his efforts to grow and develop thriving family law practices for several different statewide law firms. He has handled all areas of family law from the simplest amicable dissolution to complex divisions of assets and child custody. Jason strives to reach the best resolution for each client. In the event an amicable resolution is not possible, Jason possesses the ability to put his craft to work through the course of presenting evidence at trial. Jason has lectured on issues regarding juvenile dependency, human trafficking, child custody and jurisdiction including individual parental rights. In the past he has appeared as a special guest on a California money talk radio broadcast, discussing the intricate relationship between real estate, investing and family law. 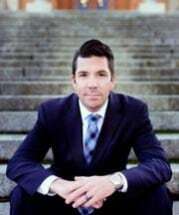 Jason has worked locally with Sacramento CASA and Fresno EEOC to educate the community on family law. Both Jason and Sara dedicate their time to being the best at their craft and building a specialized practice at Sherlock // Anderson, PC.